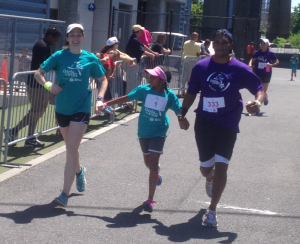 SPEAR's Laura Muzzatti PT, DPT and "Girls on the Run" Help Young Girls Find Their Stride! On Sunday, 16th Street clinical director and physical therapist Laura Muzzatti, volunteered with Girls on the Run, an organization whose mission is to “inspire girls to be joyful, healthy and confident using a fun, experience-based curriculum which creatively integrates running.” In this entry Laura writes about why she chose to volunteer with GOTR and the impact she hopes to make through her work with the organization. I’ve been working with this amazing program for the past 12 weeks. Twice a week we meet with girls ages 9-12 at a local elementary school. The program integrates running into all activities, but focuses on self-esteem building and empowering young women to be decision makers. 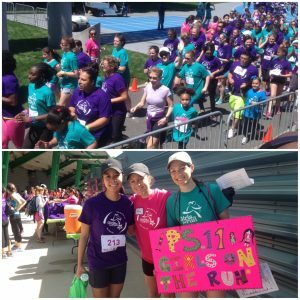 I signed up to be a Girls on the Run Coach for a couple different reasons. I feel that in today’s society, it is so important to arm young women with the tools they need to make smart decisions. By discussing real issues such as peer pressure, bullying, good body image, nutrition, and healthy living with girls at a young age, we are providing them with the knowledge to analyze a situation. We talk a lot about how the girls are responsible for their own decisions, no matter what external pressure they feel. This is something we teach our patients, too, as we treat them. Deliberate decision-making and taking responsibility for how great you can make your life is a good lesson for everyone, young girls especially. I wanted to be a role model for girls, because I know how good being healthy can feel. I know that exercise can be such an awesome outlet, and I want to share that with young girls. I also genuinely enjoy the positive, ever-loving attitude that comes with working with children.